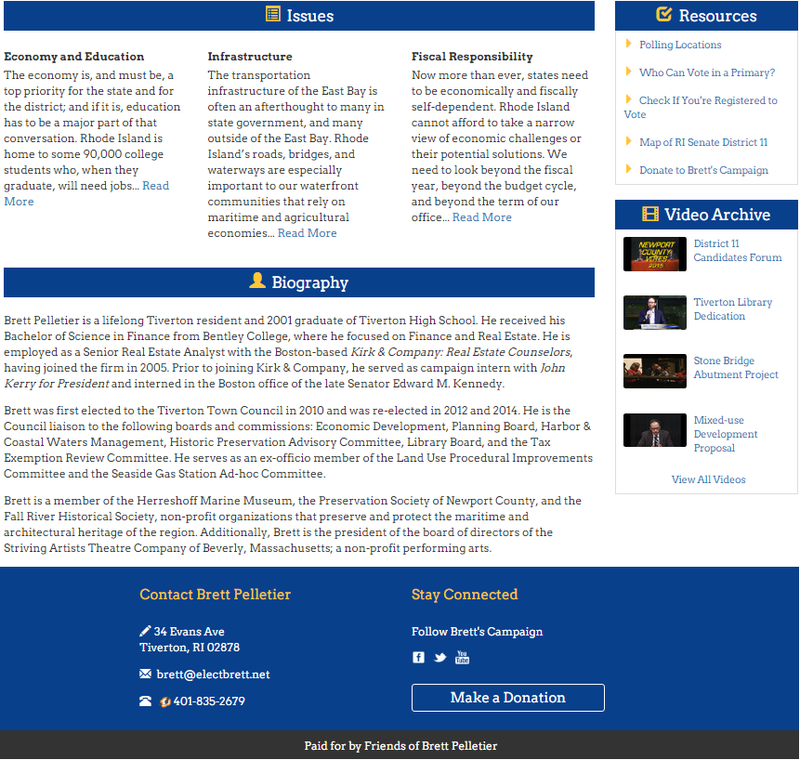 A simple one page political campaign site. 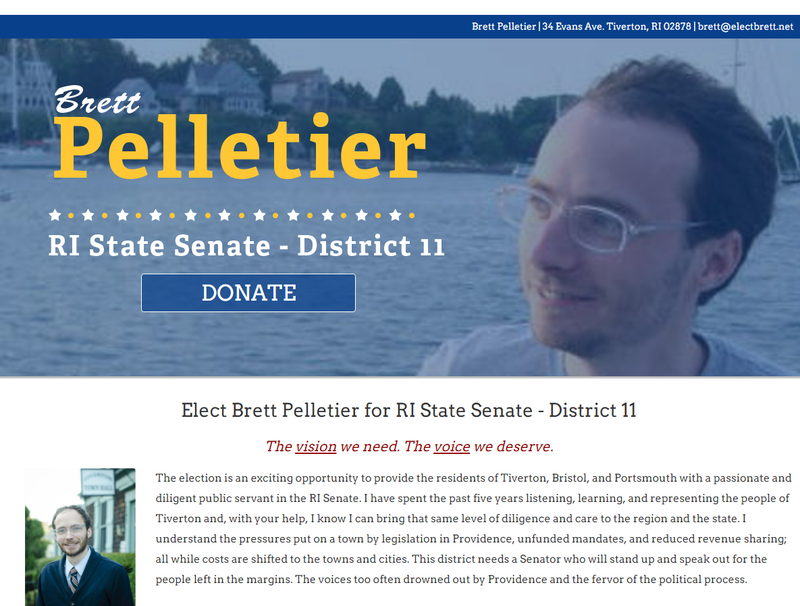 This is a static site (no ongoing changes) that was built for a single purpose. 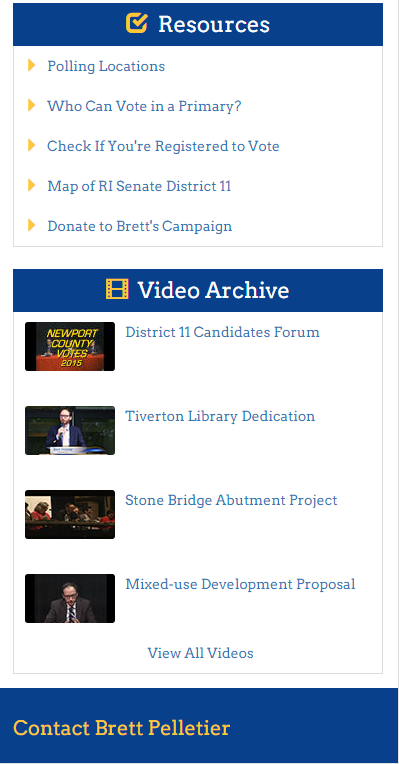 The goal was to provide a site that had a clean design that brought Brett's message and vision to the Tiverton voters in a clear, easy to read format. As a one page site, we were able to easily keep the code footprint to a minimum which ensures the site will load very quickly for anyone, regardless of device. We integrated with PayPal for simple and secure off-site donations.